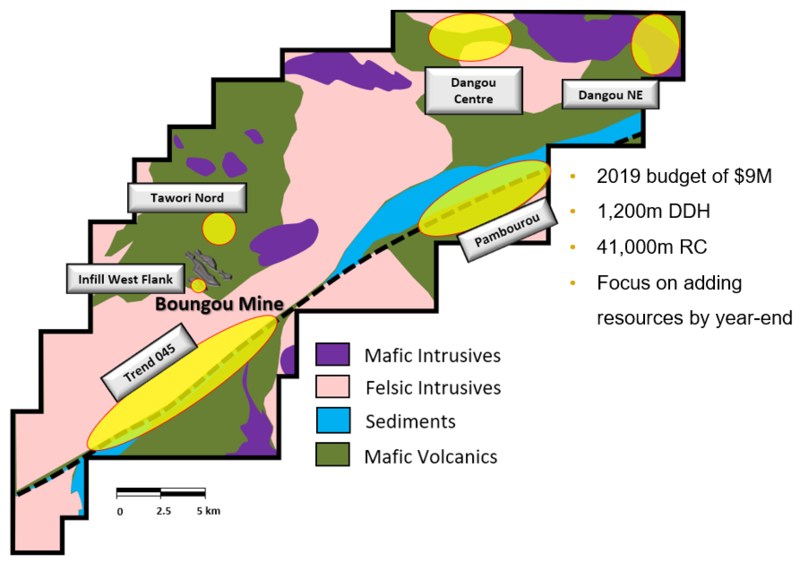 At Boungou, the main objective of the $9 million exploration program is to identify new resources within trucking distance of the mill. To this end, this year’s program comprises 41,000 meters of reverse-circulation (RC), 1,000 meters of diamond and 100,000 meters of auger drilling. The bulk of the RC drill work will follow up on recent discoveries at Dangou and test regional gold anomalies on the Pambourou and 045 Trend Sectors. The auger program will provide a complete coverage of the property and identify future exploration targets.